Enterprise IT Monitoring: Unified. Comprehensive. Easy-to-Use. 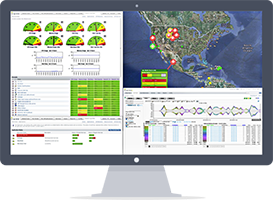 up.time is a highly scalable and easy-to-use IT monitoring software for visibility and control over performance, availability and capacity across your entire IT environment. One Unified View, One Comprehensive Product, One Highly Scalable & Easy to Use Solution. 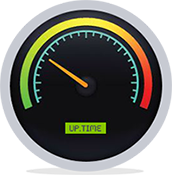 up.time's unified IT dashboard monitors total performance, availability and capacity of all servers, VMs, applications, services, and the network. Why Choose up.time over the Big 4? Highly Scalable. Fast Deployment. Easier to Use. Better Support. Less IT Budget. Outgrowing Open-Source or Low End Monitoring Tools? No more wasted time writing monitoring scripts or answering false alerts. No more poorly integrated plugins, spotty support, or poorly tested upgrades. 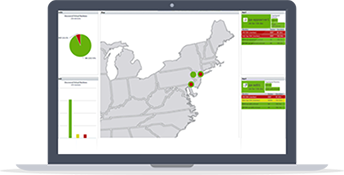 Move up to enterprise-level IT monitoring software that still fits your budget.